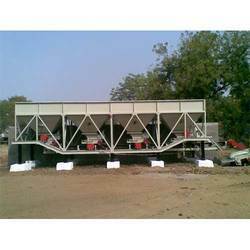 We are a leading Manufacturer of four bin feeder and cold aggregate bin feeder from Mehsana, India. With our vast industry experience, we have established ourselves as the prominent manufacturer, exporter and supplier of sophisticated Four Bin Feeder. In order to assure the quality of four bin feeders, our team of experts examines this on various parameters. Our offered four bin feeders are available in different specifications, in order to meet numerous requirements of customers. Along with that, these four bin feeders are highly acknowledged for perfect design and durability, among our customers. 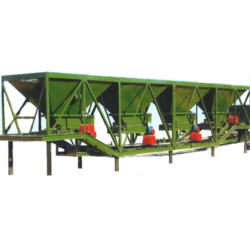 Equipped with all the high-tech machinery, our organization is engaged in manufacturing and exporting an extensive range of Cold Aggregate Bin Feeder. This bin is precisely manufactured and assembled precisely by our expert pool of professionals using optimum grade components and cutting-edge technology. Our offered bin is widely used to let free fall of feeding material without letting them stick at the corners. This bin is strictly tested by our skilled quality professionals against set industrial standards. Moreover, our esteemed clients can avail this feeder from us at market leading prices. Looking for Bin Feeder ?